Even though as humans we love to see patterns and infer causal relationships, on some level we all know that just because two things occur frequently together that doesn't mean that one necessarily causes the other. 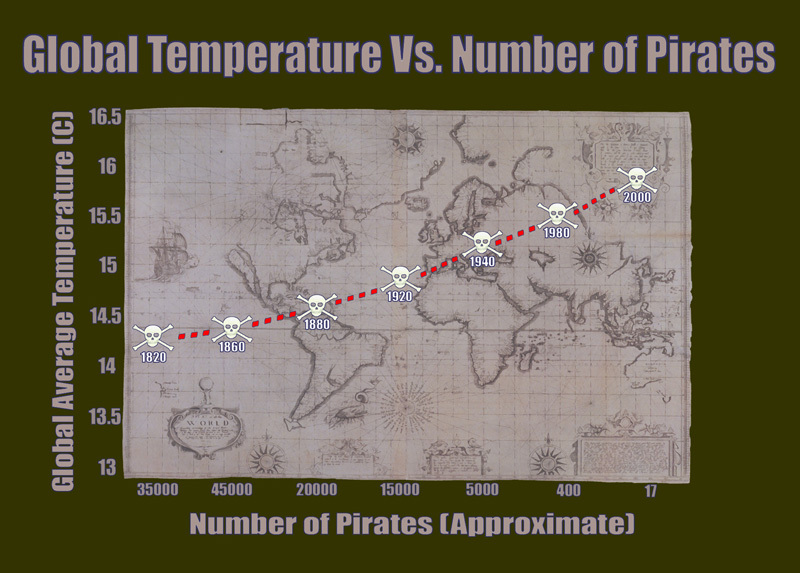 As the hilarious statistical parody teaches us, the loss of pirates does not cause global warming even though the number of pirates have indeed declined over the last 130 years as global temperatures have simultaneously gone up. 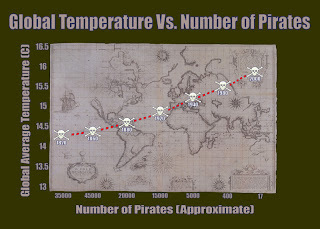 You might wonder what pirates have to do with autism: what this analogy illustrates is that just because a gene mutation occurs more frequently in a particular sub-population doesn't necessarily mean that the gene has caused the condition of interest. This is especially true in the case of cancer. Some of the genes that mutate in cancer do play a role in its progression, but some gene mutations that are associated with the condition just occur because the disease itself makes it more likely for the genetic material in an organism to mutate - it causes genetic instability3. This is called getting a "false positive", and in fact a recent article in Nature4 just dealt with this exact problem. The researchers reported that some genes which are less stable are more likely to mutate in cancer and therefore appear "associated" even though they are not causally related to the develop of the cancer itself. The problem is when geneticists assume that all genes mutate at the same rate, which is an incorrect assumption. Some genes are more likely to mutate than others, and rates can even vary by person. So the approach to studying mutations requires a more nuanced approach. As mentioned, thousands of genes have been associated with autism, with approximately 100-200 genes considered "strongly associated". Interestingly, some of the same genes which the Nature paper determined were probably false positives in cancer studies and had nothing to do with the development of the condition are also high up on the autism list. These genes in particular are known for their high mutation rates. Coincidence? The general point is that cancer researchers have realized that they may be receiving false positives in their genetics studies and are beginning to adjust their methods of analysis to account for this. Given the overlap in important genes associated with both cancer and autism, especially those genes which normally have high mutation rates, autism researchers may need to apply similar methods to whittle down results to those genes most likely play a role in the development of the condition. Where do scientists go from here? Good question. 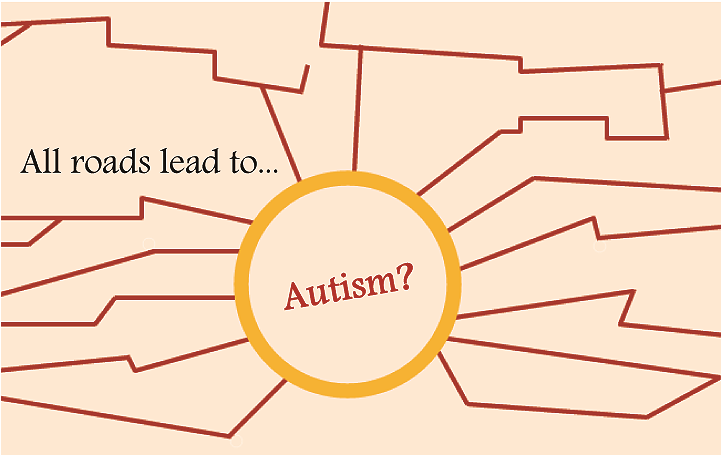 I'm not absolutely certain, but one thing I do know is that in terms of research into the cause of autism, we need to make it our #1 priority to define autism at the cellular and tissue levels. 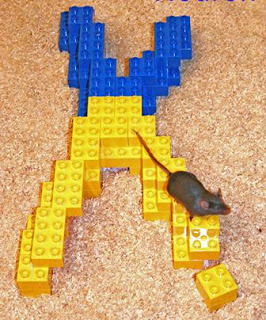 Without this, we have no measuring stick for the feasibility of our results, which can be a true challenge when comparing, for instance, mouse behaviour to human behaviour. Our team at the University of Louisville, headed by my partner, Manuel Casanova, is currently working in that direction and we soon hope to have results which may provide a better framework for the definition of autism. In terms of genetics, epigenetics, and the like, we also need to take some lessons from the field of cancer research which is at least a decade or more ahead of us. We need to place more efforts into learning from the things other scientific fields have already discovered, because so much of science has been done but is locked behind walls of cross-disciplinary unfamiliarity. For these reasons, organisations like TWDK are vital in helping to bridge that cross-disciplinary divide. Some of the greatest ideas can be inspired by stepping out of our scientific comfort zones and entertaining new perspectives. That's often when breakthroughs occur. This guest post is by Emily L. Williams, a Ph.D. candidate in the department of Anatomical Sciences and Neurobiology at the University of Louisville. By day, she studies transgenic mouse models and how various gene products such as Noggin and Pten affect development within the central nervous system, the peripheral nervous system, skin, and cartilage. By night and weekend, she studies autism and analyzes trends in genetics, most recently publishing findings on increased occurrence of transposable elements within high-risk autism genes. On Sundays she also blogs at Science Over a Cuppa, and she can be found @EmLyWill on Twitter. Click here for her full CV. Williams et al. (2013). 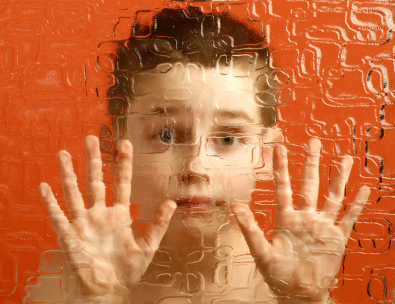 Tranposable elements occur more frequently in autism-risk genes: Implications for the role of genomic instability in autism. Translational Neuroscience, 4(2), 172-202.